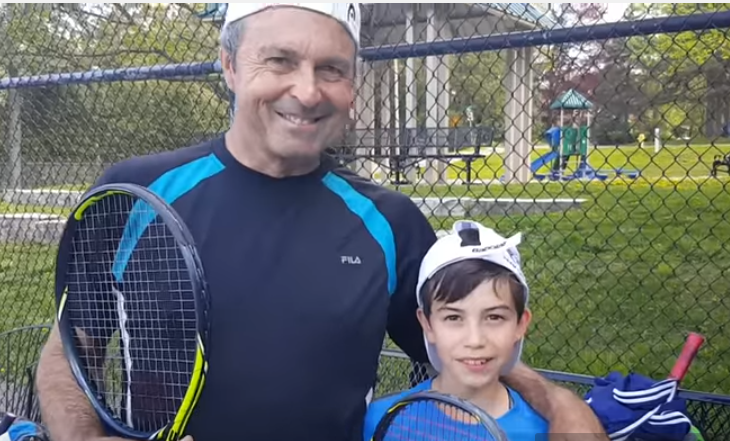 Andres is an internationally known tennis coach who lives in Aurora. Andres has being coaching his high level junior players at ACTC for the past several years. He also coaches at the AVIVA Center, home of the Rogers Cup. This year, the Board is pleased to announce that Andres will have an official role as the ACTC High Performance Coach. Andres will also provide instruction clinics to our Inter-County teams. Below is a list of the young tennis students from the High Performance Camp in 2016. Adrian Smith, nationally ranked # 5 under 12 age category in the OTA and # 12 in Tennis Canada's National ranking system. Adrian is a first year under 12 years of age player and is nationally ranked # 2 in Canada. Sebastian SMITH - Sebastian is a first year player in the under 14 category and is nationally ranked # 40 in the OTA ranking system. Maya Chernous - Maya is a first year player in the under 14 category. She is nationally ranked # 86 in the OTA system and is also nationally ranked # 194 in Tennis Canada's ranking system. Vlad Andreescu - Vlad is in the first year in the under 12 category and is nationally ranked # 31 with the OTA and # 80 in the Tennis Canada rating system. Aleksandar Ivancevic - Aleksandar is in his first year in the under 12 category. He is nationally ranked # 26 in the OTA system and # 64 in the Tennis Canada ranking system. Duncan CHAN - Duncan is in his first year playing in the under 12 category. Duncan is nationally ranked # 25 in the OTA ranking system and is # 62 in the Tennis Canada system.